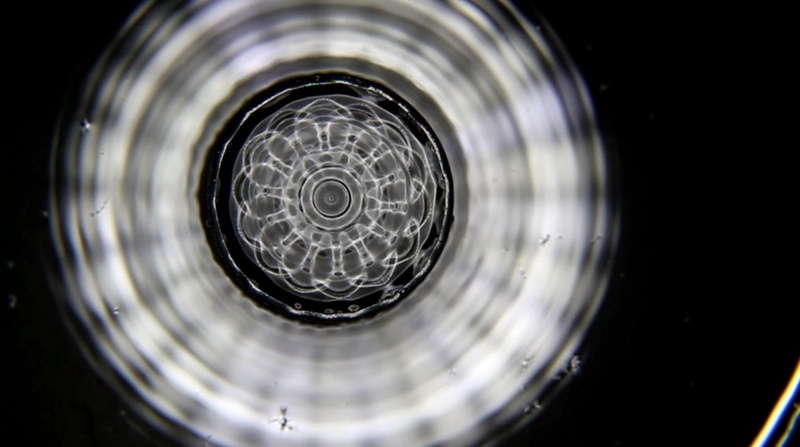 The reason cymatics exerts such a strong fascination is that we are not conditioned to "see sound". 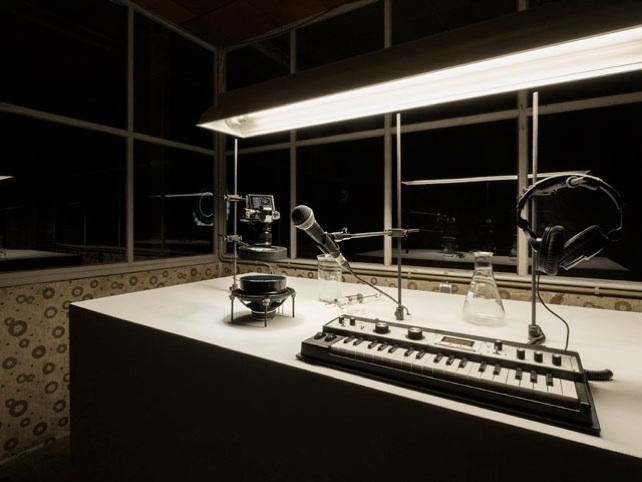 Cymatics is like a magic tool that unveils the true substance of things audible, but conventionally invisible. In fact, we think sound had a fundamental influence on the formation of the universe itself. But that is another story. Primarily, we are fascinated by the simplicity of this subject. 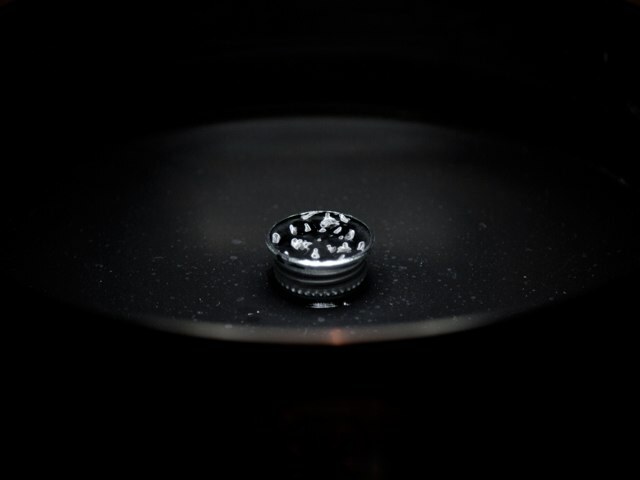 All it takes is sound and a very basic medium such as water to create... well, what could be (and in our view is) the coolest sound visualizer. 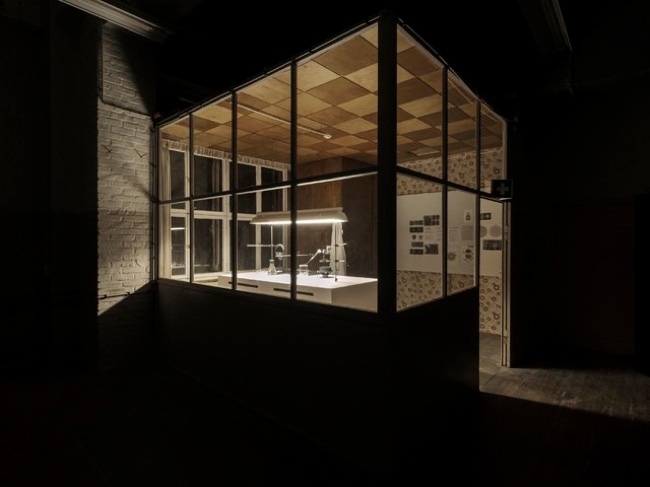 Our installation at the Photography Playground in Berlin consists of two different areas. The installation is very simple: A sound signal is used to vibrate a speaker. On top of the speaker membrane we have applied a plate and on the plate we have then glued an ordinary bottle cap. The bottle cap (or the whole plate) is filled with water. 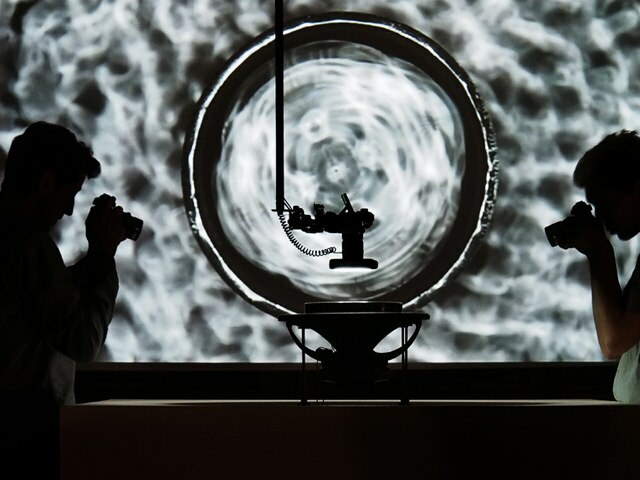 The water works as a flexible three-dimensional sculpture mass, that translates the sound into pictures. 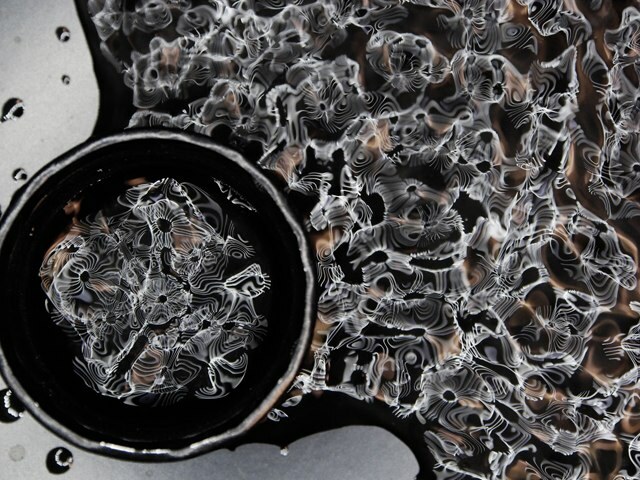 The vibration of the speaker creates one of a kind water-sound-images in response to the respective sound impulse - from chaotic patterns to standing mandala-like waves. 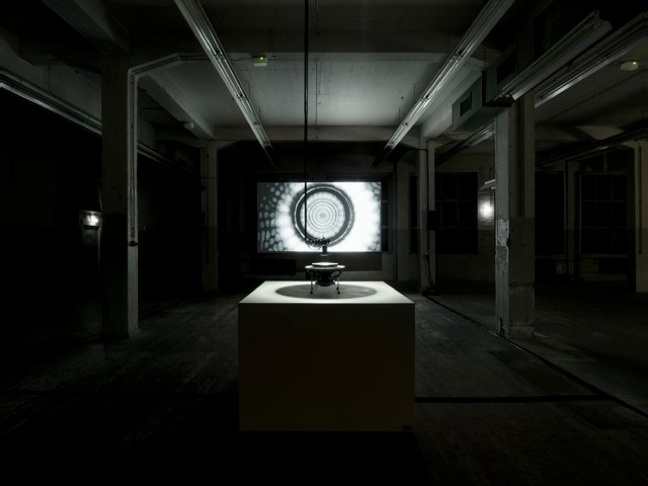 When people enter the room they initially just see the big screen cymatics projections. However, once they approach the cube with the speaker they suddenly grasp the setup and have this moment of incredulity and utter bewilderment, that a setup as simple as ours can create such astounding visuals. But this part of our installation is actually just an incentive or an ice breaker. 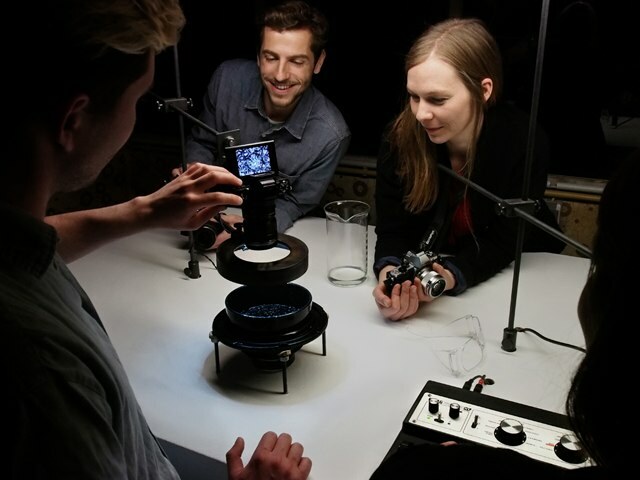 Our actual intention is for the audience to have fun in the laboratory, where they can create and document their own cymatics. What does it look like if you hum your favorite tune into the microphone? What does Wagners "Twilight of the Gods" look like in cymatics? The results are images reminiscent of the shape of flowers, the form of a starfish, the patterns of turtleshells, cell division, the golden ratio, the flower of life - all depending on the individual frequency impulse. To download Hi-res images click here.